Variations in thickness, flatness, size, squareness. Have occasional cracks and occasional animal tracks on the surface. Variety of color between tiles and within individual tiles. 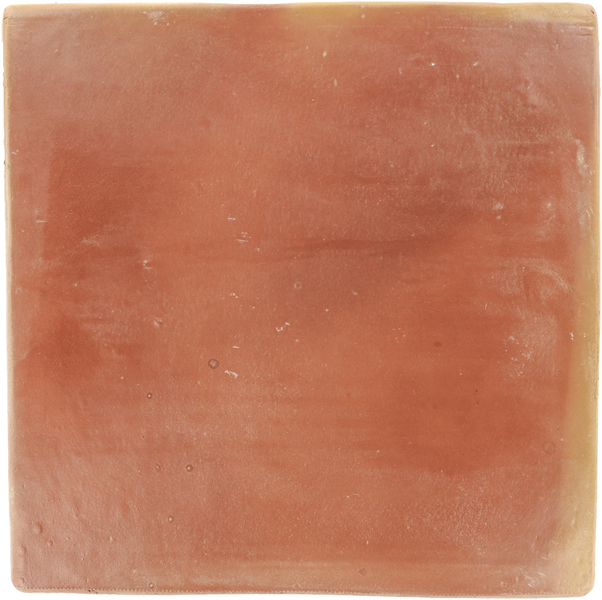 Saltillo floor tile is hand-made using old production methods to preserve its traditional essence of rustic terracotta tile. The name Saltillo Tile is derived from the city of Saltillo in Mexico, where the clay used to make Saltillo tiles is a natural resource found only in this region of Mexico. The sheets of clay are hand pressed, molded, and then sun-air dried before being fired in kilns. The clay and the process gives saltillo tile a unique, random, natural look which makes the tiles so popular. Raw saltillo tiles can appear rather plain, but after installation, grouting, and sealing they are very attractive, easy to maintain if properly installed and will virtually last forever. 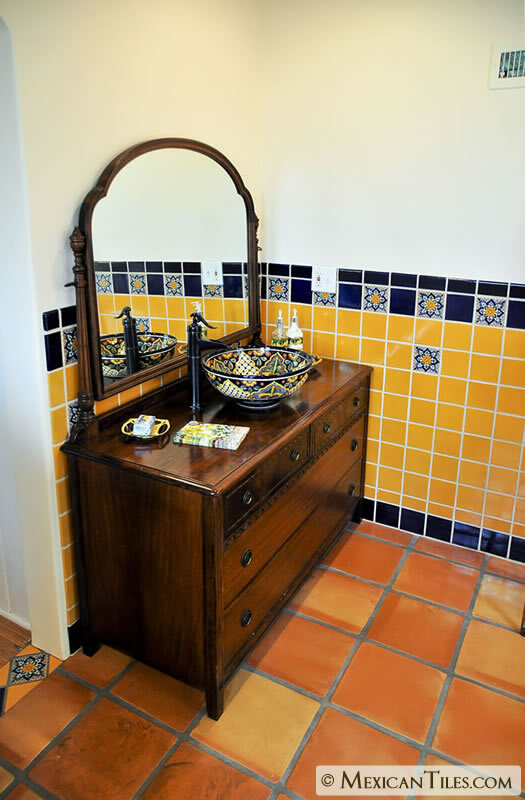 Saltillo tiles complements with a Spanish, Mexican Hacienda, Southwestern or Mediterranean style architecture. The name Saltillo Tile is derived from the city of Saltillo in Mexico, where the clay used to make Saltillo tiles is an abundant natural resource found only in this region of Mexico. 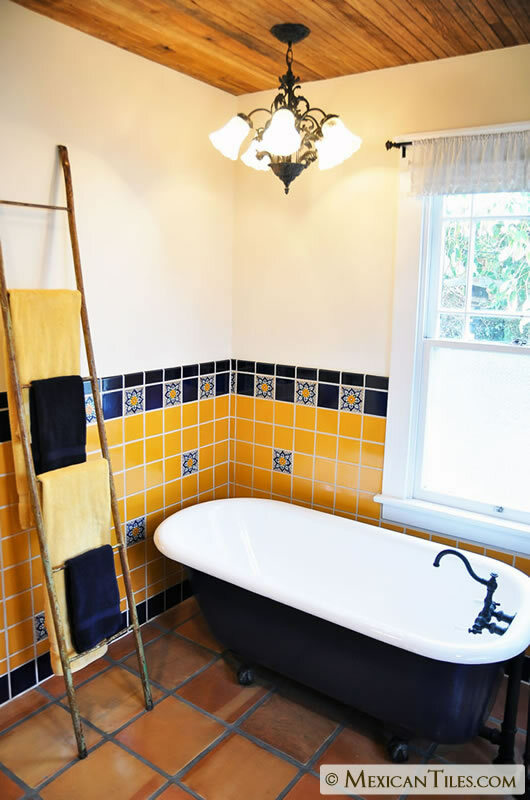 The Saltillo Clay has been used for centuries to make Saltillo Tiles, it is greatly appreciated by those who like the atmosphere of warm Mediterranean and Mexican Hacienda style homes. The process of creating Saltillo Tiles is an old-world tradition of making tiles by hand, which is preserved and continues to this day. The sheets of clay are pressed, molded, and then sun-air dried before being fired in kilns. 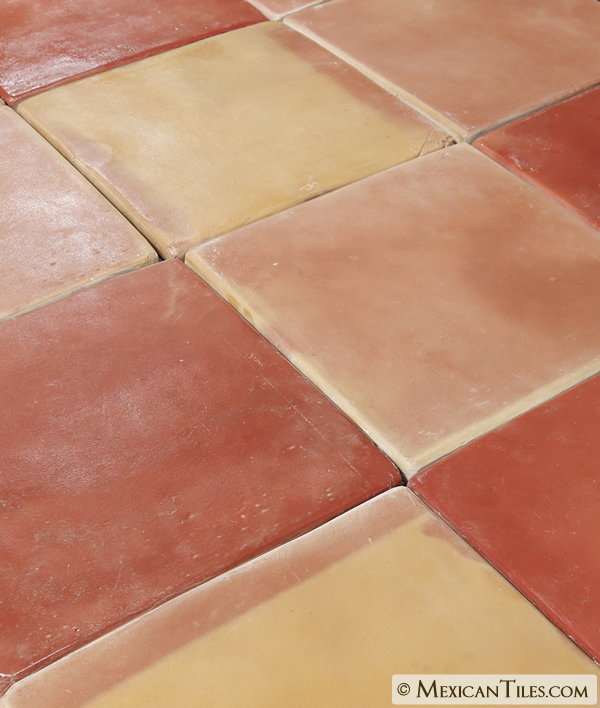 The clay and the process gives saltillo tile a unique, random, natural look which is what makes saltillo tiles so popular. Raw saltillo tiles can appear rather plain, but after installation, grouting, and sealing they are very attractive, easy to maintain and will virtually last forever. Each of our Mexican Super Saltillo tiles is handcrafted and unique. For Satillo tile to be called authentic "Saltillo tile" must be made in Saltillo Mexico and with clay from the surrounding area. 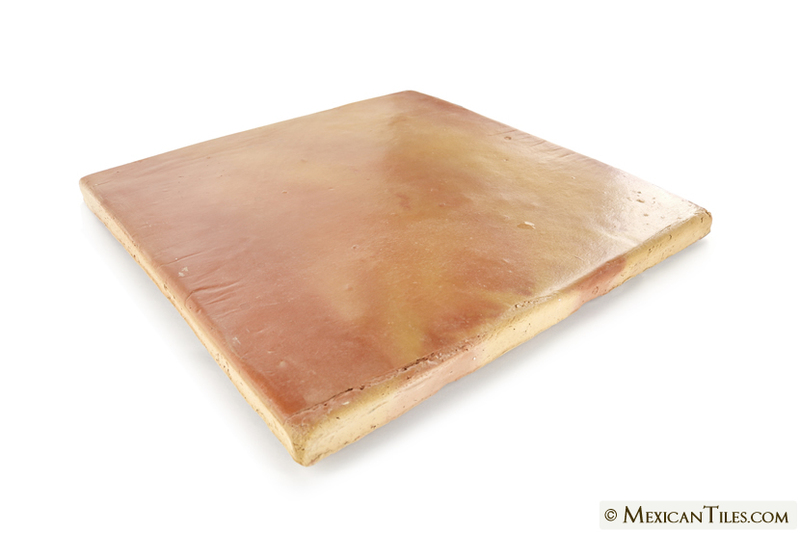 This clay used to make Saltillo tiles can only be found in this part of Mexico. The tiles are made from clay dug out of the ground and fired to a temperature at which the clay undergoes chemical changes and becomes permanently hard. Saltillo tiles are hand made and fired a low temperatures giving them a rustic and warm finish, and making them attractive and very popular. Super Saltillo tiles are distinguished for their rounded edges in comparison to regular Saltillo tiles which have squared edges. Size: May vary up to 5/8 in.